The Tamil film industry, which has always taken much pride in being vocal about social issues like the shutting down of Sterlite, the establishment of Cauvery management board, and the Jallikattu protests, has remained lowkey regarding issues concerning its own members. First, it was the silence around the celebrities named in the Me Too movement, and now, adding to it is their seeming indiference to the removal of singer Chinmayi Sripaada from the dubbing union under suspicious circumstances. The singer, a popular voice artiste too, has been one of the champions of the Me Too movement in Tamil cinema, and her membership was terminated from the Tamil Nadu Dubbing Union, for the seemingly trivial reason of nonreceipt of an annual membership fee. Chinmayi has since posted a video on her YouTube channel explaining that she has already paid a lifetime membership to the union, apart from a 10% share from every dubbing project of hers. She also stated that she was terminated without any prior intimation, and added that if she was actually not part of the union as indicated, they should have prevented her from lending voice to actors much earlier, instead of dismissing her after her participation in the Me Too movement. It has been two weeks since the video was published, and our attempts to reach the dubbing union and its president, Radha Ravi, continue to be in vain. With Chinmayi’s own film colleagues maintaining silence over the issue, we reached out to a few popular voices in the industry to find out more. CS Amudhan, the director of the Tamizh Padam franchise (Chinmayi sang a track in Tamizh Padam 2), declares that the industry has failed her. "This silence is wrong on the industry's side. People must support her, especially when she seems to be having solid proof to back her case. It is very clear that she is being targetted. There are no two ways about it. I don't think the dubbing union suspends any member for non-payment of annual fees,” he says. “And to be honest, issues like these are usually dealt with in a casual manner, with a phone call or two. Even if they are serious about the issue, there is a procedure for it. You cannot terminate a member without issuing a show cause notice." The director, however, says he understands why the industry is quiet about this issue. “They don't want to participate in public, as it could place their livelihood in danger. They may get a lot of heat if they lend their voice to this issue. After all, dubbing is a part of every film,” he says. Kalyana Samayal Saadham director RS Prasanna has been among the few film industry voices to be vocal in support of the Me Too movement. He hopes that the focus be kept on the movement on the whole, instead of on a single participant. "I am not well-informed about the rules of the dubbing union. Any person must be empowered and enabled to speak freely about allegations and not victim shamed or threatened in any form. I hope the focus on Me Too is not lost and attention diverted to any other developments." Meanwhile, Kathiravan Balu, the general secretary of the dubbing union, refused to speak with us, citing that the internal issues of the dubbing union didn’t need to be discussed with the press. Successful voice artist-turned-actor Raveena Ravi (who also acted in Oru Kidaiyin Karunai Manu), shares that she wasn’t part of the general body meeting in which Chinmayi’s termination was discussed. “But I can say that the 10% fee they collect from our salary goes to the dubbing co-ordinators and the welfare fund of the union. My school and college fees, for instance, were paid with the scholarship I got from the union." We reached out to many other dubbing union members who expressed their reluctance to discuss this issue, fearing repercussions from the organisation. According to some reliable sources from the union, members who were denied a vote in the union election for non-payment of membership fees continue to lend their voice for films, and work unhindered. 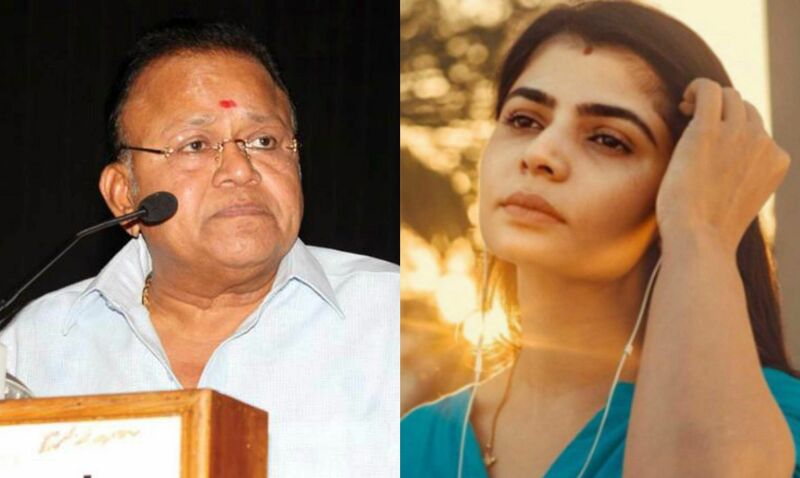 Recently, a video also began circulating on social media that seemed to show the union president Radha Ravi referring to Chinmayi as a member of the union in a press interaction on October 22, and barely two weeks later, denying that she was a member. We also learn that Chinmayi has been gathering evidence to reclaim her membership and is planning to file a case in the court this week. With there being very little public support from her industry counterparts and consequently, little pressure on the union to reverse its decsion, legal action looks to be the only way for this talented artiste to reclaim permission to dub for films again.